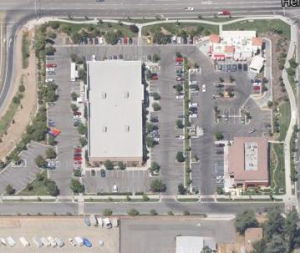 Clovis & Herndon Retail Development – Yamabe & Horn Engineering, Inc. The west side of the Clovis Avenue and Herndon Avenue intersection had sat undeveloped for years, even after Highway 168 was built up and produced significant traffic with on- and off-ramps immediately to the west. In 2003, both the north and south corners were developed into retail centers, with Starbucks occupying the north corner and In-N-Out Burger filling the south corner. Y&H was brought in to handle site map development of both corners, as well as the creation of an access road to the south, working through the sticky situation of imminent domain with the adjacent property owner in the process. Working with Sierra Crest Equities, the developer on the project, Y&H worked closely with the City of Clovis to establish a new access road (Magill Avenue) that allowed traffic to enter the southwest corner restaurants and the ITT Technical Institute educational facility. The property owner to the south of the project had to be managed as they had to give up an approximately 8500 square foot triangular piece of space along the north end of their property to create Magill Avenue. In the creation of Magill Avenue, Y&H was able to accommodate bus access to the south property better than it had previously, creating a win-win situation for the property owner as well as the tenants of the new southwest retail corner. On the northwest corner, development was much more straightforward and included the site plan for the BBVA Compass bank branch as well as the retail strip on the west side of the lot. The parking lot included grading and drainage design to complete the project.